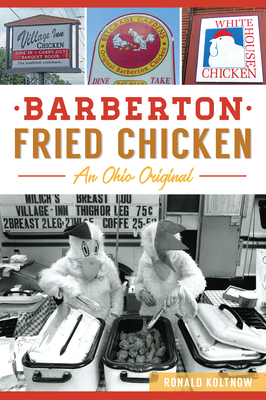 Against all challengers, Barberton, Ohio proudly defends its title as “Fried Chicken Capital of the World.” Founded by industrialist Ohio Columbus Barber, the city drew workers from around the globe, especially eastern Europe. Immigrants brought their traditions and their cuisine. In time, Barberton became home to five Serbian fried chicken restaurants, all within a two-mile radius. Belgrade Gardens, Hopocan Gardens, White House Chicken, Terrace Gardens and Milich’s Village Inn (later Village Inn Chicken) were Serbian in origin yet consummately American. All served up the traditional dinner–chicken, fries, coleslaw and hot sauce. Grab a seat and a handful of napkins and join author Ron Koltnow as he recounts the mouthwatering story of an Ohio original.